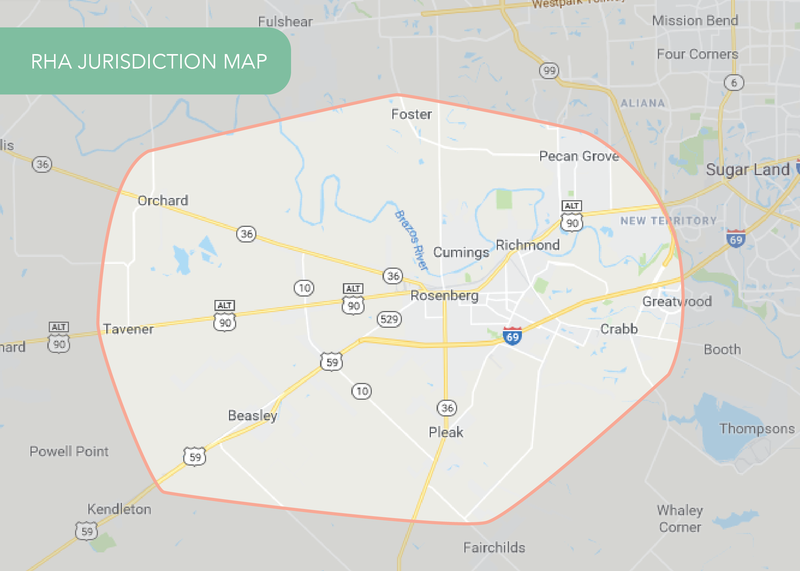 The Rosenberg Housing Authority’s Jurisdiction is Rosenberg and 5 miles outside Rosenberg’s city limits. If you reside outside, you must move within the jurisdiction in order to receive rental assistance. The map locations to the right are not intended to be inclusive of all apartment complexes in Rosenberg/Richmond. It contains only those properties that have requested their name on the list. 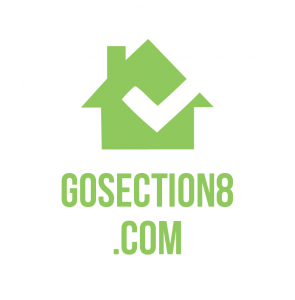 You may inquire at any complex you wish to ask if they would be interested in participating as a landlord on the Section 8 Housing Choice Voucher Program. Also, remember that you may choose to lease a house, mobile home, duplex, or other type of residential rental property. The HA does not publish these types of properties as a referral list, but does list available units on the bulletin board in the HA office and at GoSection8.com. If you or your prospective landlord have any questions concerning the Section 8 Housing Choice Voucher Program, please contact the HA at (281)342-1456. The participant may choose any housing that meets the minimum standards of health and safety, as determined by the Public Housing Agencies (PHA), and is not limited to units located in subsidized housing projects. If the participant selects a unit that is higher in rent than the approved payment standard, the participant must pay the difference up to 40% of the monthly household income. However, rent charged by the landlord for the participants unit must be comparable to rent charged for unassisted units in the area. FOR BEST VIEWING ON MOBILE PHONE, TURN SIDEWAYS.